Here comes another logo generator! “Design your logo for free.” Did it hitch your attention? It sure did! You must be thinking what else is better than having a freebie? We all love freebies,don’t we? Well, there is no harm in loving freebies,but yes when it comes to your business, you have to think professionally. Saving few bucks is not a good deal. Surely, statements like “We will design your logo, free of cost” grabs your attention but don’t fall for it. You have planned to bring your idea to life, you are doing everything to give a kick-start to your business,but you seek to save pennies when it comes to designing a logo for your business. Don’t fly in the air when you come across different blog generators. They will try to imprison you by saying “design your logo for free,”but you don’t get hitched. Stop! Still, you are thinking of going for a free logo? Oh, wait! Read our reasons first; you won’t say again that logo generators can do any good for you. What areyour thoughtsbehind getting a logo for your business? You think of getting a unique identity for your business, right? It’s not feasible to believe that logo generators can provide you with the exceptional graphics. Only professionals know how to do their work well. Comparing a logo generator with a professional designer doesn’t make any sense. Try it out you will feel the difference. Go to the logo generator, insert the name of your company and hit on generate logo. You will see the worst logo pieces that lack harmony, design andcolor. When a logo designer makes a logo for your business, you get a masterpiece that speaks for your brand’s message. It’s a big “NO!” to use logo generator if you intend to introduce your brand in the marketplace. Now the dictatorship got its roots developed there! Yes, that’s true, logo generators don’t give you the freedom of creativity. You feel limited there as the platform doesn’t allow you to insert the design elements you like. What a nightmare for you! You are getting stopped from showing your creative side. You have so many ideas in your mind, but you can’t communicate to the online software of course. Well, it’s justified to label logo generators as the worst nightmare of your life. Perks of getting a logo from a professional designer are beyond your thinking. You can share your ideas with a designer, you are free to give you input and in return, you get a perfect logo. Do you think that logo generators will give you complete command over fonts? You are in for a surprise! Logo generators don’t offer you the fonts you like to have in your logo.Be very mindful; people do see the fonts you use in your logo. Logo generators provide you mundane fonts that fail to grab the attention. Do not ride the wave of monotonous, come up with something different that let you embrace the journey of success. “I think, this color scheme suits your business” Don’t expect an online logo generator to tell you that. That’s the worst scenario you face in the run of saving your few bucks. What color theme suits your business, what design elements should be there in a logo, only a professional designer can tell you that. Expert guidance is crucialfor you which you don’t get when you go for a free logo. You are looking for some ideas,or you are willing to get marketing collateral for your business, no technical team would be there for your support. While hiring a professional designer helps you in getting ideas, you can share your requirements with a designer and he can take it further. Nothing else can be worse than seeing your design on another brand’s logo. When you opt for the cheap logo generators, it happens. Since you don’t own the copyrights of the final piece, you can’t stop another company from using it. To give your brand a unique identity, it is necessary for you to seek the help of a designer, who carves a perfect logo for you. Logo generators are free to use,but yes, they are not wholly free. Do you think that you will make a logo using free logo generators and they will offer you free vector file? Come out of the dream zone you human. To get the vector file of the logo, you have to pay the online software. Please don’t make a mistake of thinking that you will create a brand, just by taking help of the logo generators. Reality awaits you here! You can’t build your brand identity with the help of logo generators. A brand’s logo speaks for its core values, it speaks for the brand’s message. Logo generators only give you generic logos. They don’t have a varietyof icons and symbols. Think for a second, if logo generators are that good, why people still opt for a professional designing agency? When people can quickly get a logo from logo generator, what’s the point of consulting a designing agency? 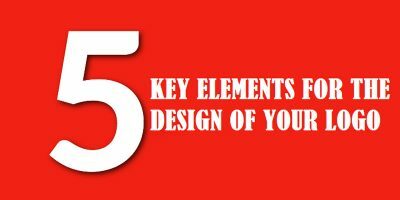 It is because only a designer can understand your needs, onlydesignersknow how to carve a distinctive appearance for your brand. Logo generators don’t focus on what your brand needs. A logo generator has no idea of what font should be there in your logo, no proper research or analysis it does. While a designer first understands the needs of your brand and then take inspiration from successful brands. There isa proper analysis and research that backs the carved logo. Spending a few more bucks don’t feel heavy on the pocket. So, better is to get the help of a designer who knows how to carve your brand’s image. Nobody loves going behind bars! Logo generators can get you into troubles because of the legal disputes. Since two or more companies would be using the same design, it is going to create a big problem. Many times you get into legal disputes due to using the logo for which a company has already bought rights. You are thinking to save few bucks by not hiring the services of a designer; maybe it will lead you to the legal disputes which involve the considerable sum of money. Use your brain smartly and get the services of a professional. To uplift the level of your brand, it is crucial to get a customized logo for your brand. A professional designing agency has a pool of talented individuals who take care of the nitty-gritty details while carving a logo for your business. Don’t welcome a nightmare in the form of logo generator. Even after reading the points mentioned above, if you go for a logo generator then only God can save your brand. Logo Generators - A Visible Enemy Of Your Business!